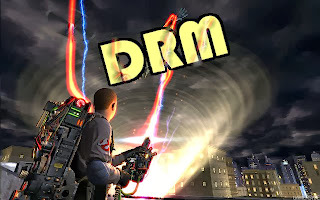 Home » publishing » Why I hate DRM - I want to play Ghostbusters! Why I hate DRM - I want to play Ghostbusters! This post isn't directly about writing. But it is about a technology used by many industries, and the book industry is one of those that embraces it. The topic is DRM, a technology designed to give the creator the power to prevent you from accessing books, films, games, software or music. The things you buy can disappear when the company folds, or they just stop supporting the item anymore, or the flaws in the DRM break other systems, or because you have used the thing you've paid for too many times, or for many other stupid reasons. As a consumer and producer it is a topic which I think about a lot. I hate the fact that you can buy something and have it taken away from you. Books you've bought disappear from your account; DRM turns purchases into a strange mixture of renting and gambling. And it's no wonder that DRM encourages piracy. Okay, let's get cracking on my most recent experience. I love playing games. Board games with friends, and computer games on my own. Ever since I got an Atari 2600 as a child I was amazed at how computer games can tell stories in which you play a part through your actions and imagination. I moved on through the years: Atari 600XL, C64, various Amigas, then various PCs, my first being a 486DX. I worked during the summer to buy that PC, so that I could play Doom and UFO Enemy Unknown. I take my games seriously, thinking about the worlds and the characters, what their motivations are, what things are like just outside of the frame of the game, how I would improve things if I was able to modify the game. Basically the same mental processes that take place when I'm reading or writing. I buy PC games in advance, as I do with books: when I see something that sparks my interest, or when something comes out where I want to support the creator, or if something good comes up in a sale. I own more games than I could play, but I see it as a personal selection which I can pick from as the mood takes me, as with any library. Dark nights, alone in the house? Check what creepy games are in the collection. Feel like stretching my brain? Check what strategy games I own. But when DRM is involved your options are reduced. In October I like to pick a few games I’ve not played before, as my big treat in the lead up to Halloween. I look forward to them, carefully selected titles and sequence. I had picked Penumbra (slow burn tense horror), STALKER Shadow of Chernobyl (action with frequent elements of horror), then Ghost Master (comedy strategy where you are the horror! ), then Ghostbusters as my grand finish on 31st October, and the only game of the four that I hadn't played before. I bought Ghostbusters (from GamersGate) when it was released. I loved the films as a kid, and the C64 game, and this sounded fun too. It had the real Ghostbusters actors in it! Sale. Back when I bought it I was concerned that it had DRM with limited installs, but was reassured by the GamersGate promise that they will reset the number of installs whenever you need them to. It would still be an inconvenience if you went to install the game, found it was blocked, and had to email a company for permission to play it again, but at least it would eventually be possible. Images from the GamersGate FAQs. The limits are "easily reset". 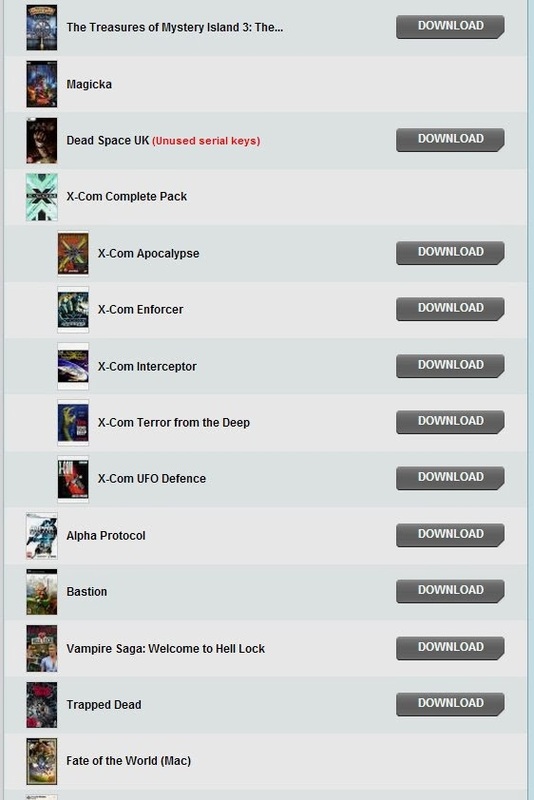 The game, once bought, is "yours to download and install as many times as you like." I had never downloaded Ghostbusters, or even revealed the serial number required to install it (which is the equivalent to what used to come on the back of the DVD case or manual, yours from the moment you buy the game). Here's my game, with unused serial keys. I decided to install the game in advance of playing it, but whenever I clicked to get the serial key, I got this weird message. We are not selling this game anymore. Atari went bancrupt and stopped distribute the serials.I'm afraid I cant refund a 3 year old order though. And that's it. No options. No explanation of why they didn't keep the key each time they sold a copy of the game. No explanation as to why they agree to sell games under these patently unfair terms. I bought the game, but tough. I can never play it. I should have played it straight away, not dared to savour the idea of it and look forward to playing it at some point in the future. How dare I! Don't I know that digital games only have a shelf life of a year or two? I am obviously an aberration, in that I still play old games today (using emulators for C64 and Amiga, and DOSbox for old PC games). The main irritation is that GamersGate sold me a game but didn’t keep the code I needed to play it, they obviously gave it someone else. So they sold me a thing under false pretences, since they claimed it was a game I could play, even though it actually turns out it is impossible to play it. They kept back the part that makes it work; a bit like selling an iPhone, but when you eventually take it out of the box you find you’ve been sold an empty case. It turns out the vendor sold the interior bits to someone else. "Oh wow. That’s quite the scam. Not on the consumer, but on the developer. They’re only paying the dev for keys when someone activates it, not when someone buys it. So any copies bought dirt cheap in sales that never get played, they never have to pay for, and have that money as pure profit. And the devs never even know the sale was made. It’s dodgy on the consumer end, but it’s surely actual fraud on the business end?" GamersGate's lack of response to me asking about their business practices on this front suggests the suggestion above may well be true. There are some lesser irritations on how this has panned out as well. The pop-up message implied I should try again, but it is now clear that they knew I could never play it. Why tell the user to come back and try again another day? It's frustrating that GamersGate allow games to go on sale on their site with these conditions (NB it's probably not just them, since Valve allow games on Steam with multiple levels of DRM). They won’t refund a game they sold, and which I can't play because they gave my key to someone else! Note I don’t want a refund, I wanted to play the game they sold me. Their general attitude, "tough". 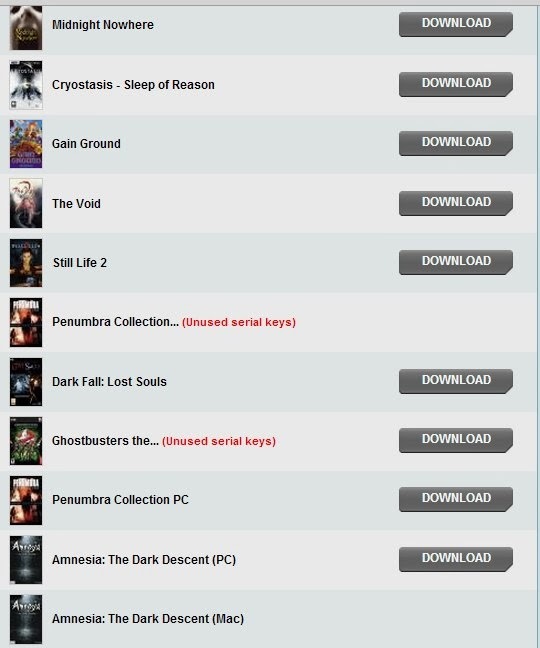 My favourite place to buy games was GOG, followed by GamersGate, then Steam or Desura. 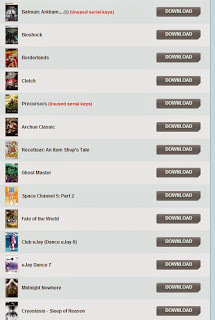 GamersGate has gone down a bit in my estimation now. What should GamersGate do? Well, refuse to sell games with the stupid ‘unlocks’ system. Or if they do sell them, only do it on the understanding that the unlocks can be removed completely if more keys aren't made available. Or at least keep a serial key tied to each game sold! It's too late to apply that to Ghostbusters, but since they sold the game, in an ideal world they would do something radical: replace the files with a virus-free cracked version so those who bought it (i.e. 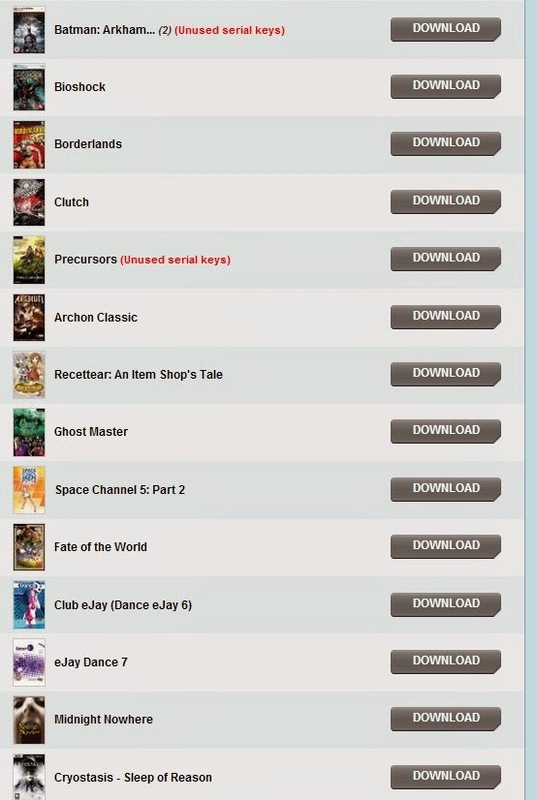 legally paid Atari and GamersGate) can access the thing they were promised. We bought the right to play the game! They have a responsibility to fulfil their part of the agreement, not just wash their hands of it. The message is that games, music, films or books with DRM are inherently broken and are bad value for the customer. I'm not saying don’t buy them, but bear in mind that anything with DRM is only worth a fraction of the cost the companies try to charge, so should only be picked up from the bargain bin. This isn't what the companies want, and wouldn't be best for the industry, but they can't have it both ways i.e. sell you something broken but for full price. It also implies that you should not buy games in advance, to play in the future. Again, that would actually be bad for the industry: they want to sell as many games as possible, and gamer behaviour is often to buy things in advance. You can probably tell: I'm disgruntled! I've asked GamersGate for the contact details of the manager in charge of their business practices. This post has been picked up and shared by the excellent Defective By Design / Free Software Foundation. Both sites are full of really useful information, and the FSF is well worth supporting. Yes, I 'm sorry about this situation. We have tried several times to get a DRM Free version of this game. That is the normal procedure for the publishers to do when games get too old or are no longer supported. We will try again today. Maybe we are doing it wrong and I will happily listen to any suggestions you may have, but if the publishers stop supporting a game, there is not much we can do. They still own the rights for the game which means we cant do anything without their approval. 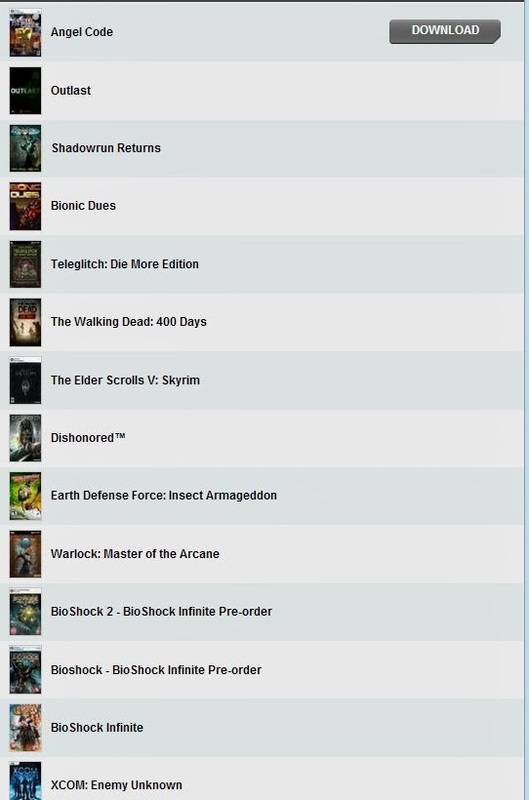 GamersGate, or distributors in general, got VERY little saying regarding the products. Prices, region locks, sales, DRM's, system req's, game info, etc. All that is in the hands of the publishers.We are always trying to do our best in all situations to make all parts happy, but it is not always easy, and in this case it looks like we failed. Some comments about your blog:""Oh wow. That’s quite the scam. Not on the consumer, but on the developer. They’re only paying the dev for keys when someone activates it, not when someone buys it. So any copies bought dirt cheap in sales that never get played, they never have to pay for, and have that money as pure profit. And the devs never even know the sale was made. It’s dodgy on the consumer end, but it’s surely actual fraud on the business end?" That is not how it works. None of it actually. * Each sale is a direct split between GG and the publishers. There is only ONE publisher, as far as I know, that we pay per serials, and it's not Atari. * ALL sales, offers, etc is approved by the publishers before we can launch them. * Serials are not connected to a certain purchase. We have not sold "your" serial to someone else. Please note that we are not selling this game anymore and the order IS three years old. 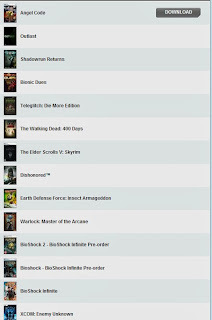 Don't get me wrong, I like GamersGate. But they're still promising something pre-sale, but not enforcing the ability to deliver it with publishers. GamersGate can refuse any game if they feel it goes against their policies or the best interests of their customers, and then this situation wouldn't come about. 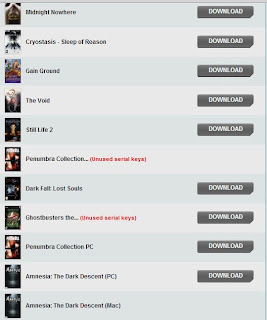 Oh, just to give an idea of how much I have supported GamersGate in the past (and for the nosy), here's a list of the games I own on their store! Any gamers out there, which ones do you think are are good, and which are bad? (Tip: the last game in the list isn't the best). I went to the SecuROM site, since that is the crappy DRM system applied. They have an entry for the game, acknowledging that their DRM is a problem and it isn't possible to activate the game any longer, but their only answer is to link to an online forum which is long dead and gone. It is rather disingenuous of SecuROM to say: "This issue is not SecuROM related" when actually it is completely SecuROM related - if there was no SecuROM DRM in the game, it would install and work with no problems. It is the SecuROM that is stopping it from working. I should also add that I've had huge problems with SecuROM in the past - games I bought then wouldn't activate even though I had the SecuROM code on the back of the manual or with the download. In some cases I had to try and resort to cracks just to play games I'd bought, which was ridiculous. And if big companies like Atari can bow out leaving you with unplayable games then it can happen to others as well. As I said in a comment below: I suppose the danger in this post is that by focussing on an example it can draw attention to the retailer, but I have also had issues with Steam in the past and lack of any kind of response at all from them - so far GamersGate does generally reply to messages and makes it fairly easy for you to contact them. My main worry is the whole DRM issue and how it penalises gamers/consumers and creates these no win scenarios. As a librarian/archivist I'm concerned about future access to media such as this. For example maybe the game isn't great, but it included writers and actors from the classic film, almost counting as a modern sequel, yet it won't be available for future study or analysis due to the item being impossible to run. I think all aspects of culture should be preserved for future generations. It would be horrible if these forms of DRM had existed back in the 8 bit era, many games would have just disappeared, losing our cultural heritage, instead of being available to future generations to play, iterate on, draw inspiration from and improve on, to create sequels to and so on. While I'm fired up about DRM I think my next blog post will also be on this topic, so I can include other experiences I've had in the past with it, from it causing problems with my projector, to preventing me from running games on disc. No news really. I'd had an interesting chat with Alexander Poysky. He's the head of content management at Gamersgate. I like supporting small companies, and he told me that they are a small group of eight friends running the company. He took my points to the CEO and team, they told me that there were many good points and they will be investigating the matter with publishers and will see how best to resolve these scenarios. As to what that leads to, if anything, well, we'll see. New DRM blog post now finished. That is harsh. I do all my gaming on a playstation and downloaded the demo for Ghostbusters before it came out. Seemed decent, but I was never really tempted to get the full version. Here's hoping something comes from getting in touch with the higher ups. It might be an idea to go back through your list and at least make sure you at least have the keys for the other games. Also, I highly recommend Dead Space as an alternative to Ghostbusters. :-) I am curious how the Amnesia series was though. I'll get round to Dead Space one day (I love System Shock 2 and heard is captures a teeny bit of the atmosphere) but it is one of those with limited keys again, so who knows? I will try and get a key! Amnesia Dark Descent is great. It understands that to be scary it needs to keep the player tense, but not by throwing monsters at you all the time - it is very retrained. I own but haven't played Amnesia A Machine For Pigs yet. I also recommend going back to the Penumbra trilogy. Parts 1 and 2 are as good as Amnesia (it was the developer's first games, using that immersive technology). Part 3 is a bit of a weird tag-on, like a horror version of Portal, and can be skipped without missing anything. But 1 (Overture) and 2 (Black Plague) go together well and are incredibly absorbing. My Steam library is similar in size to your game library. However, over the last few years as DRM as become more intrusive, it's grown at a slower pace. I think one of the worst experiences I've had was with the process to get GTA 4 up and running. While everything worked it took about a half hour of account creating and hoop jumping to get it going. Now I do my homework; if there's account creation required or oppressive DRM, I don't buy. I might pirate it, but I won't pay a purchase price to effectively rent it. And I don't feel bad in the slightest about it. 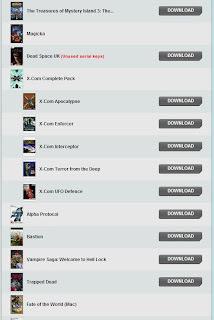 I've got just as many games on GOG, Steam, Desura and Humble Bundle! I do love a good game. I remember GTA 4 too. Absolute nightmare. It was one of the first times I was pissed off that you could buy games with multiple forms of DRM crammed in. If I buy a game I just want to install and play it, not create extra accounts and basically have to ask for permission to play my game. I'm sorry for your troubles. It's been two years since I registered an account at GamersGate and I've barely used the site. Their sales are easily overshadowed by their competitors. They took part in the "permanent IGN Prime discount" fiasco, where we learned even "permanent" things expire. Now, with the problems described above, it's obvious they don't care about or are unable to look after their customers' best interests. I'll be unsubscribing from their newsletter, looking for a way to delete my account with them and generally advising people against using their site from now on. Hey there, my name is Alexander Poysky. I'm the head of content managment at gamersgate. PLEASE contact me via skype (it's alexpoysky) and we will sort this out double-quick. Although this isn't exactly my area of the business I'll help you out and set the record straight, we aren't like that and I think there must have either been a mix-up or something on OUR end (not yours, I want to stress the fact) has led to a rather unfortunate turn of events. [Hidden by Karl] is my personal e-mail, I'll sort things out in real time via skype. No viruses, no hassle, the game then runs and plays straight off. 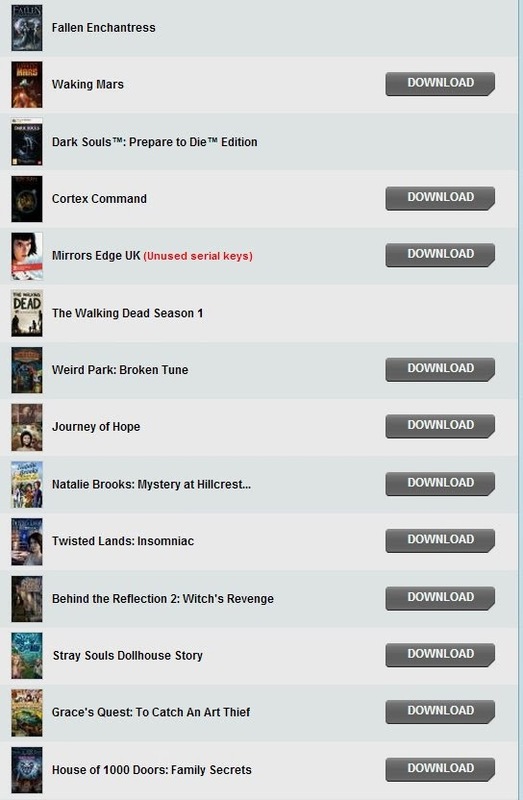 GamersGate should just add that to the version they sold and everyone would be happy. I can understand your frustation Karl, but I have to say that in my view part of the blame lies with you. If you buy a game in a shop, leave it unopened for 3 years, then open it on Halloween to find the CD scratched, what do you expect? The shop won't take it back, and the publisher (if it still exists) might not have a replacement any more. What you should have done is to download the game immediately after you bought it, revealed the activation code and made note of it. Now you are in possession of what you bought (as much as you can with DRM). Now I don't know how the Securom activation limit technically works exactly. If it needs to access some resource Atari used to provide (an authentication server), then you would be out of luck, and this is just the ugly head of DRM, but has nothing to do with how Gamersgate works. 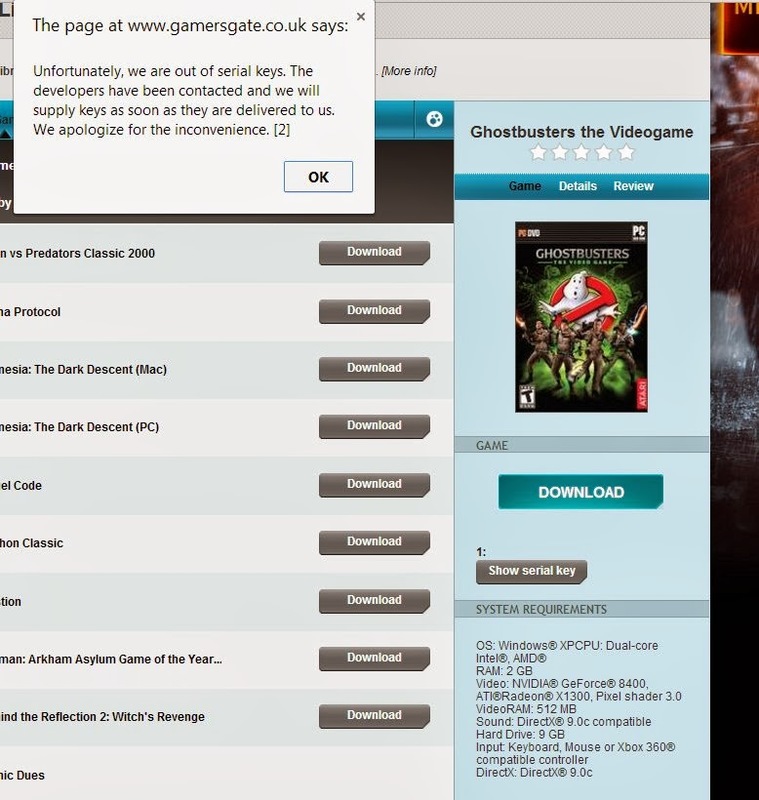 If the authentication server is with Gamersgate or Securom, you could have played your game. Generally, if people buy a game, they should take control over it immediately and consider the fact that they can redownload the game later or on a different machine an added bonus, but not the core mechanism of how they access the game. I see your point, but there is a slight difference here. With a physical game bought in a shop I took it away, they don't know what I did with it, and you would expect them to laugh me out of the shop if I came back with it a long time later. After all, they don't guarantee that I will have permanent access to the game. However, with GamersGate it is like leaving the game in the shop aftrr buying. The vendor looks after it for you, keeps it in a drawer. They know if you have 'opened' it, or installed it. They know if they have given you the key to play it. It is not a one-off transaction but an ongoing relationship, with the understanding that they will have the game available for you whenever you like. They specifically say that the game will be yours to play as many times as you like; they can 'easily' reset the activation. Those promises are the ones that aren't being kept. And bear in mind that with SecuROM there are install limits, so you can't actually use your serial key to test it, or that is one of the unlocks gone, and you're a shade nearer to having to ask for more (which isn't possible in the case of this game that was sold). 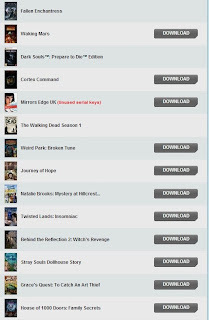 Yes, I could download each game straightaway, but I buy more than I play for most of the year. It would be a pain to keep downloading 6GB files. I haven't got the time or patience to back all of that up either. And why should I? Online vendors are selling you convenience as part of the package. If you don't make use of it then you might as well stick to physical games. I think what you are suggesting is good advice, and is the best future-proofing, but it shouldn't need to be standard practice. My main point is that to treat a single purchase as an ongoing relationship is the wrong thing to do. Treat it as one-off transaction and make sure to get as much control as you can. Then use the possibilities offered by the supposedly always working redownloadability as a bonus in case of emergency (house burns down) or for convinience (show a game to your friend while visiting him). Do you really think people would agree to use their coffee machines or access their books on a 24/7 open 2 min walk away store? They know there might be problems, maybe not today, but maybe next month or next year. The shop closes, some key gets lost etc. It's not the norm, of course, but as you described, there are things that can happen even beside the catastrophic event of the store closing. > I haven't got the time or patience to back all of that up either. And why should I? Because you are an adult and understand that you should care about the things you buy and (want to) own. If you leave that to other people/companies, you may get disappointed. Basically I agree with you that in an ideal world this should not be necessary. But in the real world, such things happen. You could have done something to prevent that risk, Gamersgate also (I'm not sure why they don't reveal the activation code immediately when you buy the game, for example). "I'm not sure why they don't reveal the activation code immediately when you buy the game, for example." That's a good idea, it would also have prevented this problem. Thanks!